During the season of autumn colors in Mt. Takao, after 15:00 a season-limited special train service called “Mt. TAKAO” will be offered where trains will connect Mt. Takao Station and Shinjuku Station. This service will be offered for a total of 9 days, centering on the Saturdays, Sundays and public holidays in November, (2 normal working days and 7 Saturdays, Sundays and holidays). Every year, Mt. Takao receives the most visitor during the month of November and train service between 15:00 and 18:00 becomes very crowded with passengers returning from Mt. Takao to the city. 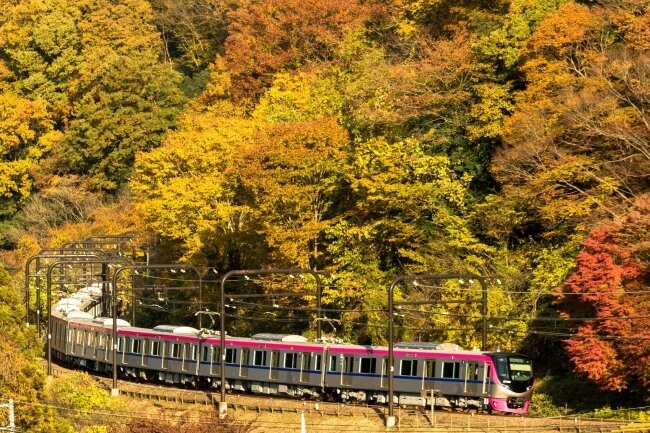 To ease this congestion during the autumn color season, the Keio Line will offer a special train service which departs from Mt. Takao Station – 1 train per day during regular work days and 2 trains per day during Saturdays, Sundays and holidays. This is the first time that this service is being offered. The same 5000 series cars will be used as the Keio Liner for this train service. This train has a comfortable “cross seat” design and reserved seats will cost 400 yen. This train will not stop at any stations along the way and will go direct from Mt. Takao Station to Sinjuku Station. Furthermore, all passengers on this train will receive an original commemorative wood-design card as a souvenir. Why not go home from a viewing of Mt. Takao’s autumn colors by using this very fast and convenient Mt. TAKAO train service. Next » Easily accessible from Shinjuku! Mount Takao (Takaosan), Enjoy the Nature in Tokyo! Service stations: Mt. Takao Station to Shinjuku Station *train may stop at a few stations along the way but passengers cannot disembark. How to purchase tickets: Reserved seat tickets can be purchased at Mt. Takao Station. *reserved tickets cannot be purchased online. Souvenir: all passengers of the Mt. 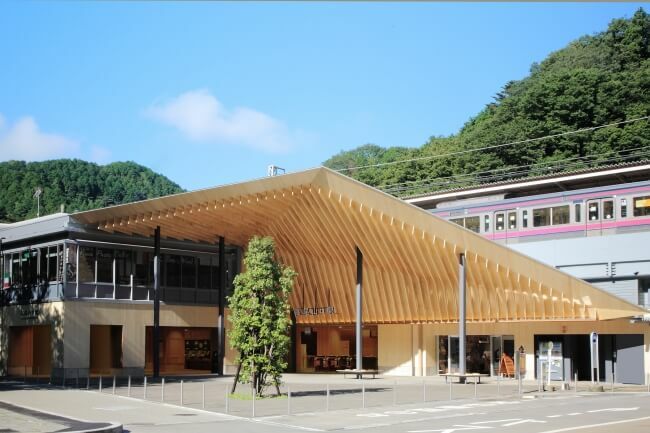 TAKAO train will receive an original commemorative wood-design card as a souvenir. Easily accessible from Shinjuku! Mount Takao (Takaosan), Enjoy the Nature in Tokyo! 【TRAVEL Q&A】From Shinjuku to Hakone Hot Spring via Odakyu “Romancecar” Line! Travel Q&A: Where Can I Buy Cheap, Standard Souvenirs in Tokyo?